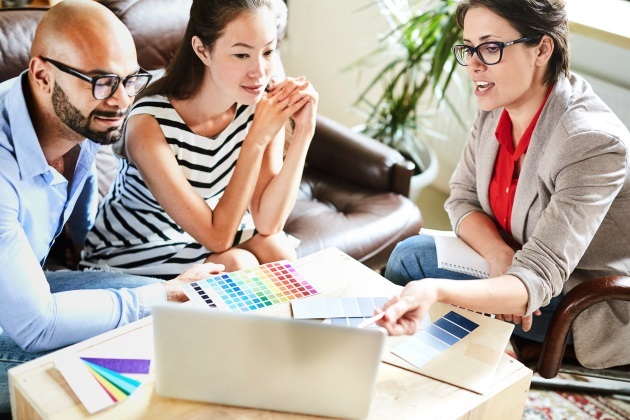 For the first time since 2015, the number of employed interior designers in the United States remained relatively stable during the period from May 2017 to May 2018. At the same time, salaries continued to increase, although not as much as in the previous 12-month period. Taken together, these trends appear to reflect a tightening in the job market for designers. After several years of substantial gains, beginning in 2015, the pace of interior designer hiring has slowed. According to the most recent U.S. Bureau of Labor Statistics (BLS) data, between May 2017 and May 2018, the period it tracks annually, the U.S. labor force added only 1,000 new interior designer jobs. That’s an increase of less than 2%, and only about a third of the number of positions added between May 2016 and May 2017. Given anecdotal reports of firms in recent years having difficulty hiring needed talent, this slowdown may be an indication that the profession is nearing full employment, rather than a declining demand for designers. Another possible indicator is the data concerning interior designer wages during this period. Nationwide, between May 2017 and May 2018, annual mean wages for all employed interior designers rose by just 1.5% over the previous 12-month period, about half of the increase recorded between May 2016 and May 2017. However, the annual median wage in May 2018 was up 7.15%, more than double the increase posted in May 2017. One might expect such a difference between the mean and median wages if more senior designers were being paid more and more lower-paid junior designers entered the workforce. Although the BLS does not provide breakouts by position level or title, it does categorize data by industry sectors, which can be revealing of hiring trends. For instance, the number of interior designers employed in interior design specialty firms actually declined a tad between 2017 and 2018, from 20,600 to 20,580, respectively. In addition, the national mean annual salary fell from $60,250 to $59,210, again suggesting an increase in lower-paid employees. At the same time, architecture firms added 1,820 new interior design employees in 2018, and the national mean annual salary rose by $660, perhaps indicating that more experienced interior designers took advantage of the tightening labor market to move into higher-paying positions. And, indeed, salaries in the higher quartiles grew more year-over-year than those in the lower quartiles. This trend may also help account for the decline in the numbers of interior designers employed in furniture and home furnishing stores in 2018, while at the same time wages for these positions increased, perhaps in an attempt to hold onto current employees or attract new ones. Likewise, the numbers of designers employed by manufacturers and residential construction firms increased, although the mean annual salary in both these sectors went down substantially, which one would expect if they were hiring less-experienced designers to replace other, more-experienced ones who had changed jobs. Although the number of practicing interior designers has not yet regained its peak just prior to the burst of the 2008 housing bubble and financial debacle that created the Great Recession, it is starting to reach that point. Contrary to a first impression based on the hiring rate, this new BLS data indicates that interior design employment is healthy and that demand for designers across a wide spectrum of sectors remains strong.